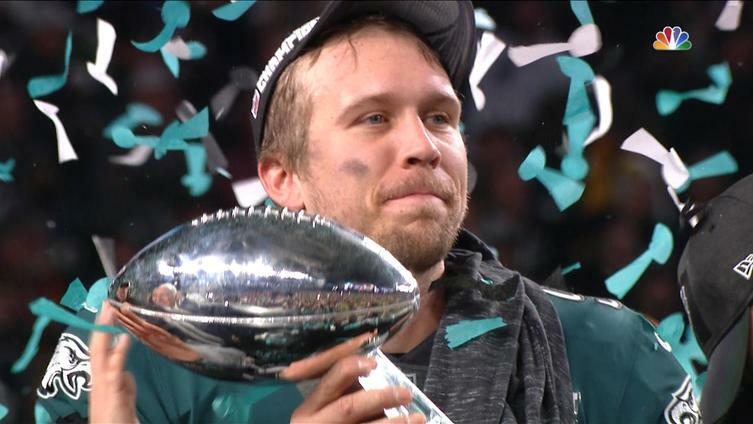 Nick Foles’ Super Bowl MVP performance was among the biggest stories of the 2017-18 NFL season. 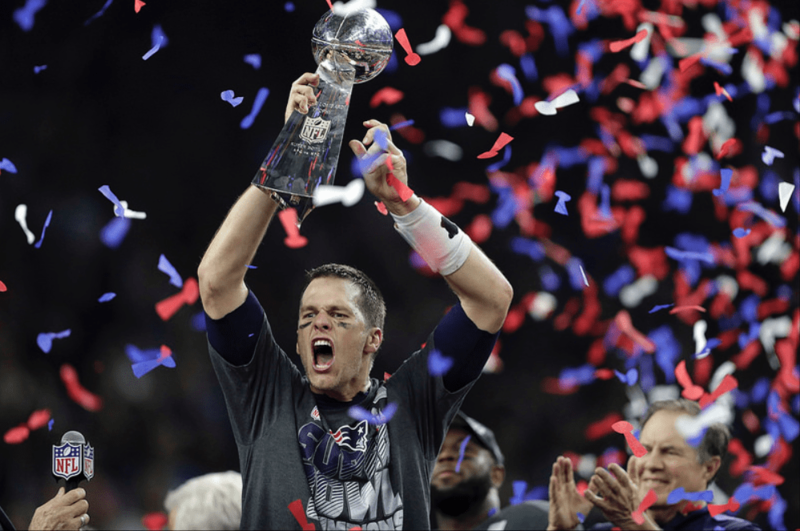 A backup for the majority of the season, he outdueled Tom Brady in Super Bowl LII to land the Philadelphia Eagles’ first championship. 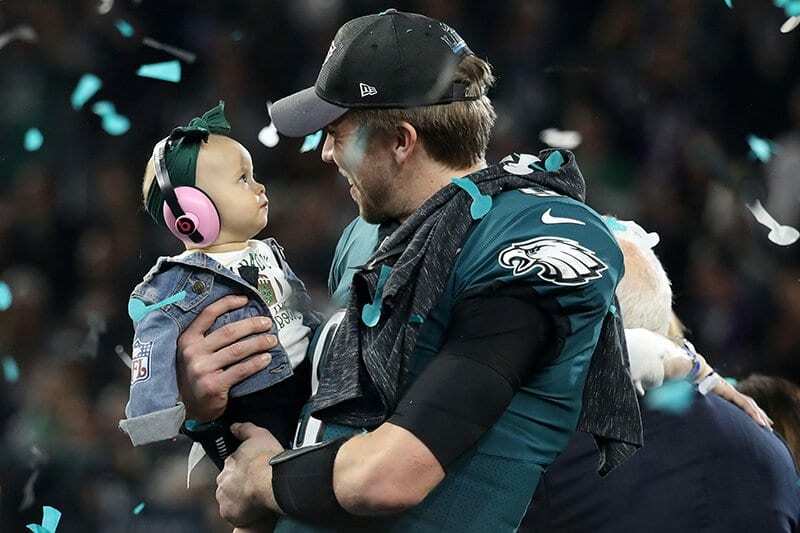 On Wednesday, a touching photo of Foles holding his daughter, Lily, amidst the confetti falling after the game won the Dave Boss Award of Excellence in the 50th Annual Pro Football Hall of Fame Photo Contest. Taken by Getty Images staff photographer Rob Carr, the photo titled “Eagle Eye” was deemed Photograph of the Year for the 2017 NFL season by a panel of judges. Getty Images photographer @Robertleecarr has won the Photograph of the Year for the 2017 @NFL Season with his photo submission: "Eagle Eye"
Lily, who was 9 months old at the time, is the first and only child of Foles and his wife, Tori. The joy seen on Foles’ face in the photo is all the more understood when remembering his words before the game, when he was asked about Lily while speaking to the media. Her daddy led the Eagles to a Super Bowl victory very few thought they could win. He talks about his experience that night and in the aftermath in a memoir to be released next month. One hundred percent of his proceeds from the book will be donated to Christian charities and humanitarian causes around the world. The Hall of Fame’s photo contest was open to professional photographers who were on assignment to cover NFL games. Carr has been with Getty since 2011, before which he shot for the Associated Press. He is a graduate of Eastern Kentucky University, and will be honored at the Enshrinees Roundtable Aug. 5, which is part of the 2018 Pro Football Hall of Fame Enshrinement Week.